Learning to adjust the machine tension is the biggest learning curve in longarm quilting. Perfect tension looks as good on the back as on the front. Quilters often become more comfortable with quilting pantos and free motion quilting before they are comfortable adjusting the tension. 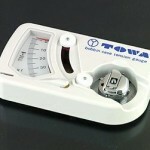 We aren’t used to adjusting tension as most sewing machines today rarely, if ever, need the tension adjusted. Longarm machines, however, DO need the tension adjusted, usually with every quilt and every thread change. Let’s take a look at why tension must be adjusted, then how to do it successfully. 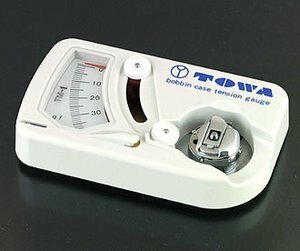 Why does tension need adjusting? Each quilt is different – different fabrics, different backing, perhaps different batting, and different threads in top and bobbin. Each of these variables will affect the tension. Today is a different day than yesterday. Even high humidity can affect cotton causing it to absorb moisture from the air. Accept the fact that tension must be adjusted and checked frequently and re-adjusted if necessary. Use top quality batting that has a consistent thickness. It is impossible to adjust tension when batting is thick in places and thin in other places. Use top quality thread that is designed for machine quilting, especially longarm quilting. Longarms operate at a much higher speed than home machines and operate best with strong machine quilting thread. every new bobbin. Nolting L-hook set at 100-125 and M-hook set at 200-225. Once the bobbin tension is set, you do not touch the bobbin again, only the top tension will be adjusted. Use space at the side of the quilt, the backing and batting placing a strip of fabric on top to test and adjust the tension. Always use the same color thread, or nearly the same color, in both top and bobbin. It does not need to be the same thread, different weight threads are OK. Using the same color thread will “hide” the places where there are slight inconsistencies in tension. Always adjust the tension using the stitch length or motor speed you plan on using when quilting the quilt. Changing the stitch length or motor speed will usually affect the tension. Tighten the top tension until you see the bobbin thread poking or nearly poking out the needle holes on the top of the quilt. down in the needle hole. You want to barely see the bobbin thread down in the needle hole. The bobbin thread should not be visible on the top and the top thread should not be visible on the bottom. When you can still see the bobbin thread down in the hole, you know the top and bottom thread will be forming the stitch in the batting. This way you should not have to look at the back of the quilt very often. Once adjusted, feel of the stitch line on the back of the quilt. It should feel depressed into the batting. 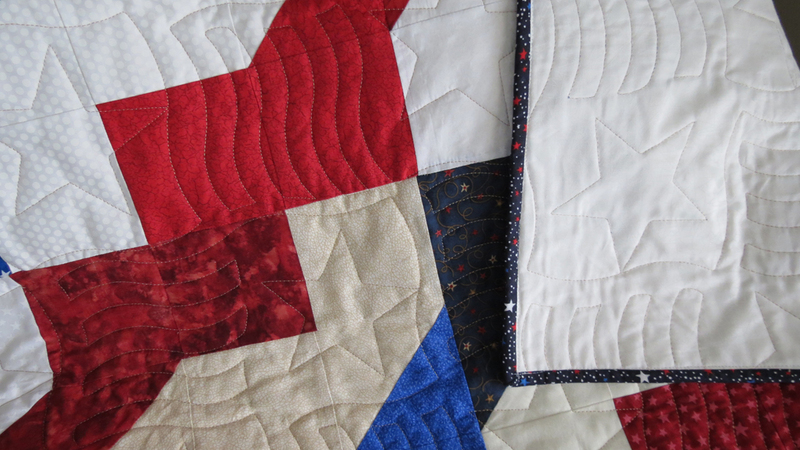 Once the tension is balanced at the side of the quilt, you can start quilting on the quilt. Be vigilant when you start quilting the panto or blocks, stop and check the tension frequently at first and tweak if needed. Because the quilt top is not the same as your test strip at the side, you may need to make a little adjustment to the tension once you start quilting. Yes, you can achieve perfect longarm tension. It takes time, patience and practice using the technique described above. 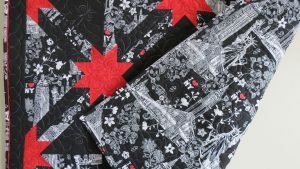 This entry was posted in Longarm Quilting, Nolting Longarm, Quilting, Quilting Techniques, Quilting Tips and tagged bobbin tension, longarm quilting, longarm tension, machine quilting, Nolting longarm, quilting technique by Joyce Blowers. Bookmark the permalink.